386,626,366 Hits made | 35,656 Today. 263,412 Members 87 New Today 222 Online. 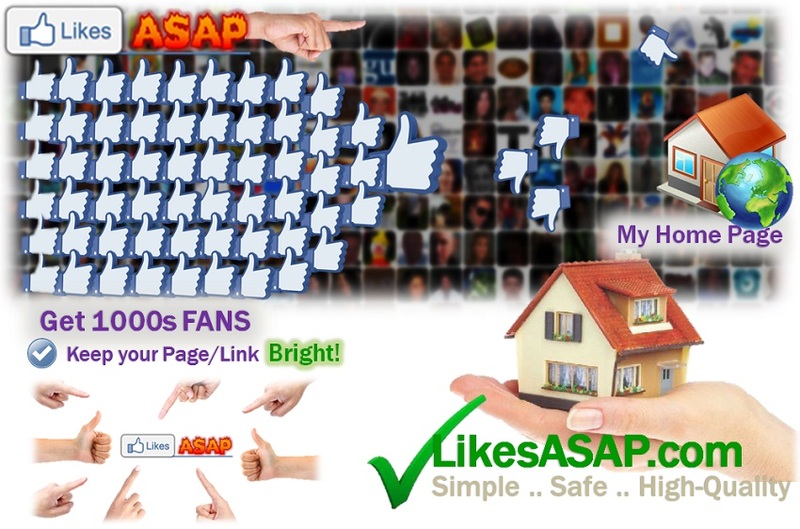 Note: LikesASAP has moved to Followfast.com! 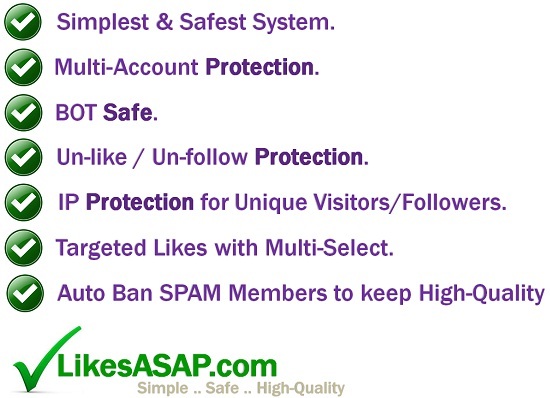 Followfast is built on the same platform as LikesASAP, but it is faster and more reliable. Visit Followfast.com to create an account! 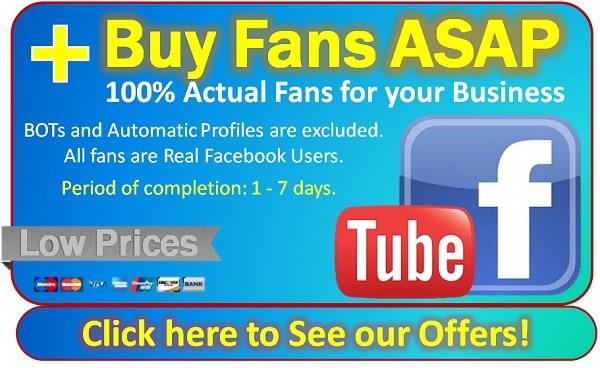 This site will help you to increase your fans or earn money ASAP. Get get Free Instagram Followers and likes. Have RSS feed? Add now and get all products/posts updated daily with NO effort. Get 75 Points daily bonus per 15 clicks. Get 175 Points daily bonus per 100 clicks. 50 Points signup bonus, and 50 Points per referral bonus! Get 10% Points of each referral bonus! 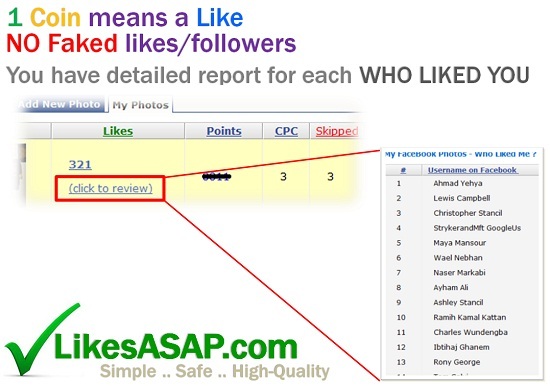 Easy Facebook likes/shares/Photo likes/Post likes/Votes/Comments/...etc. 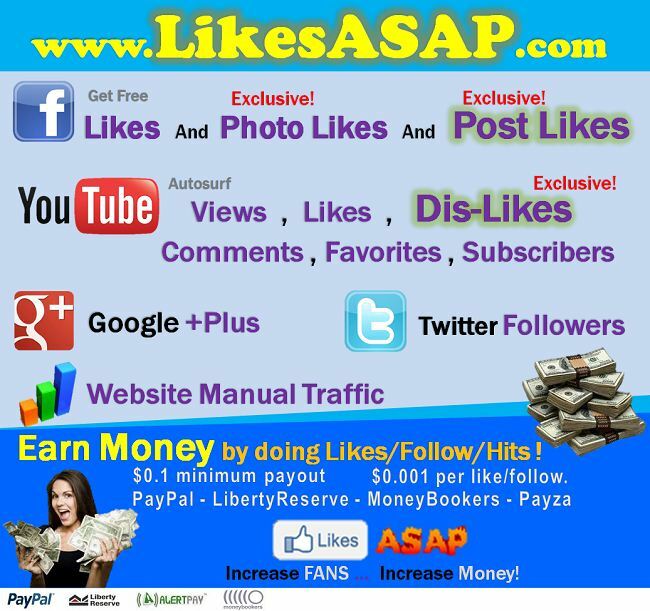 Get Paid $0.003 per Facebook like, Twitter follow, Google Plus or Traffic Hit! Twitter Tweet Likes Functionality Added. Reverbnation Followers functionality is added. New Small Jobs section is added. Pinterest functionality added. You are now able to share/pin URLs. New Referral System: Get 10% Points of each referral coins!